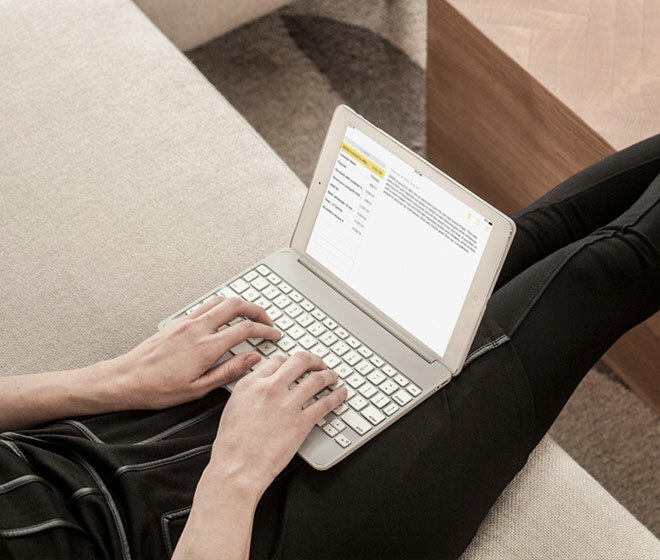 Two-toned, textured cover protects the iPad® and keyboard from dings and scratches while maintaining high fashion. *Regular use of two hours per day. Bluetooth keyboard uses a rechargeable lithium polymer battery. Battery will last for two years of normal use without charging. Folio Two-Tone Case with Non-Backlit Keyboard for the Apple iPad mini 4 (Blue/Gray) is rated 4.6 out of 5 by 14. Rated 5 out of 5 by telkell from Good Product Solid, lightweight, stylish, long battery life, good ipad protection, nice tactile feel to the keys. Rated 5 out of 5 by Wenders from Love the splash of color Much easier to find my iPad now, and I don’t accidentally grab my co-worker’s iPad! This keyboard is only compatible with the iPad Mini 4. The &nbsp;iPad mini 4 two tone folio &nbsp;with no back light, can it be use on iPad mini 2 ? Which Zagg Keyboard can I best use to type in Bed? This keyboard is great for any on the go setting. I need to charge my keyboard. Where can I buy a charger for it? 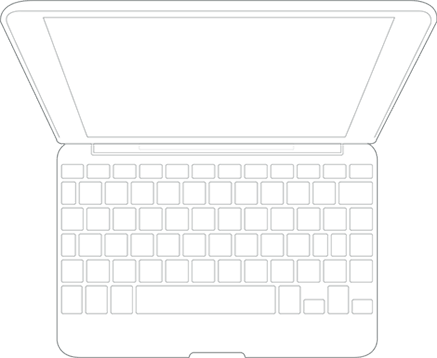 The number keys stopped on my zagg ipad mini two tone folio&nbsp;4 keyboard to pair with my iPad. &nbsp;I tried disconnecting and re-pairing the keyboard and now it will not pair with my iPad. &nbsp;Am I missing something. We're sorry to hear that. Please contact our Technical Support team at 800-700-9244 as they can best advise on a solution.